You must have called service center or call center and must have received as well. And also, with every such call, you receive an automated voice something like they are recording the calls. Havever thought why business record such calls? Well, they do all sort of analytics on it and based on these data, business take decisions which help them serve the customer better and grow business. But what is called analytics? With these data, web analytics and call analytics guys provide recommendations to the marketing team. With this marketing team get to know which kind of advertisement is working well for your company, from where people are mostly coming and lot more. Using these details, you can estimate the ROI for your campaigns. All you need to get is a Call Analytics Software to understand all the metrics of call analytics. 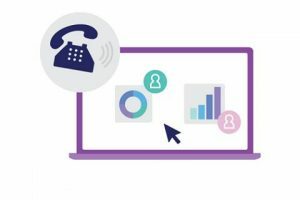 Here are some of the features of the call analytics we should have. Using the call management platform, you can create the campaign, attach the tracking number and get the best insight from it. 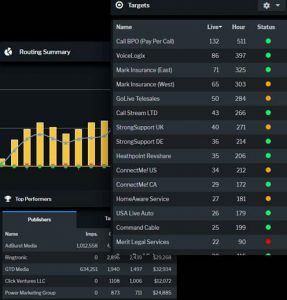 Ringba is one such tool, in fact, the best tool for managing your call flow and analyzing your call traffic. This is important for all those businesses which receive tons of calls a day and in that case listening the recording is neither feasible nor a good habit as well. In such case, automated call transcription will be the best help. These transcriptions give you a visual, speaker-organized text that you can read giving you full visibility into what’s happening during inbound phone calls. This allows you to understand the leads and know whether the leads are qualified or not. Based on these details, you can come to know whether you should follow on those leads further or not. Ringba works on the machine learning algorithms to automatically identify which calls and leads you should focus on using dynamic tags. Using this method, you can save much time, effort and money. Ringba Analytics and reporting allows you to get the useful analytics from the calls like which channel is performing well for you, what are their ROIs, etc. With this analytics, you can take correct and authenticated business decision and grow your business. Uncover hidden opportunities about call conversions. These were all about the call recording and its a feature which will help you with the inbound call marketing. Take every call seriously and use Ringba to get the best from it. The great thing is, you can get started with Ringba for free as well.